Peters Lawn Service has been in Mankato, MN for over 30 years. It is a family owned business who puts their customers needs first. Brady and his crew can handle all sorts of lawn care, landscaping, and snow removal. Whether you need mowing, core aeration, irrigation, landscaping installation or maintenance, or snow plowing in the winter, they can deliver! The site is built off of a premium Themefuse WordPress theme. 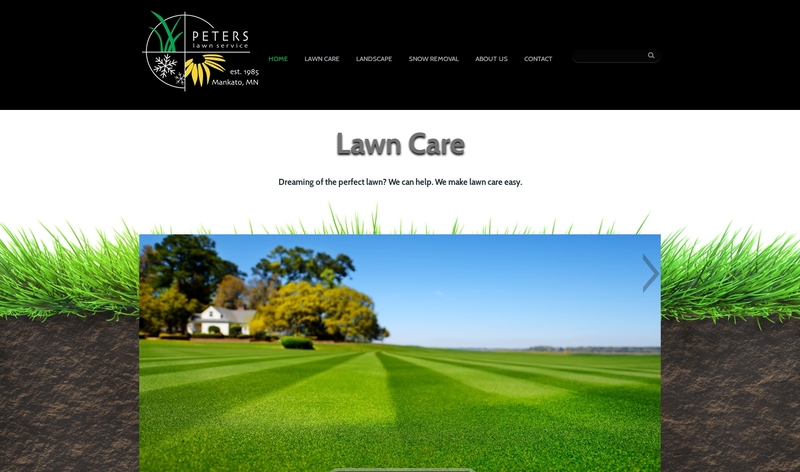 It was heavily customized to meet the needs of Peters Lawn Service. We based the majority of the look and feel of the site off of their existing logo. The site is fully responsive. The site is hosted by and domain registered with GoDaddy. Quality, timely, work. Awesome to work with, super available if you have questions, issues, or things that need tweaking! They created a beautiful, functional site for us, and we would.